Our Artisan crate this month has snuggling up in mind! Our *Sleepy New Year* theme is all about staying close to home and recovering after the busy holiday season, and you’ll have good reason to with this month’s crate. 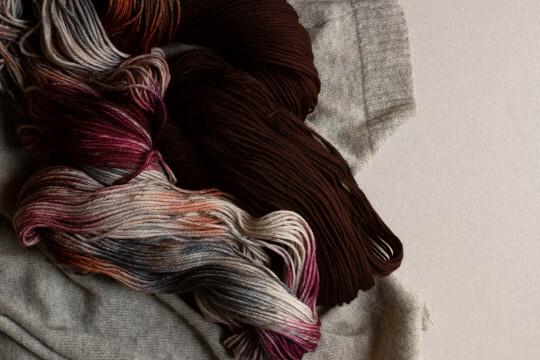 August is the epitome of cool, with a truly incredible colorway from Dragonfly Fibers. 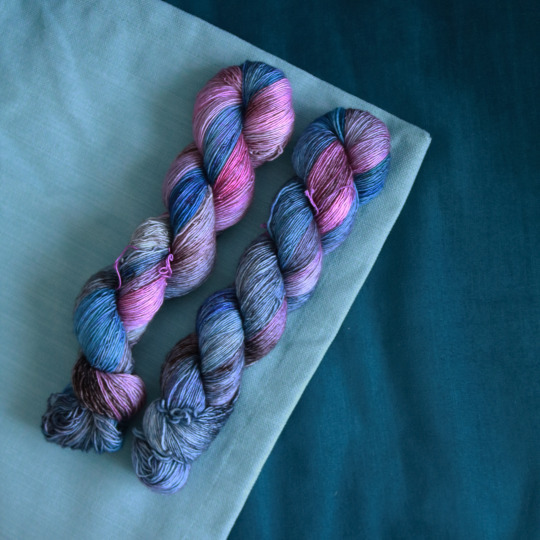 While it looks blue and purple in equal measure here, Metamorphosis, a custom dye just for this box, has extraordinary depth, pops of pink and even mustard, and looks utterly gorgeous knit up.